Also available: loveseat, chair, ottoman Bold by design. 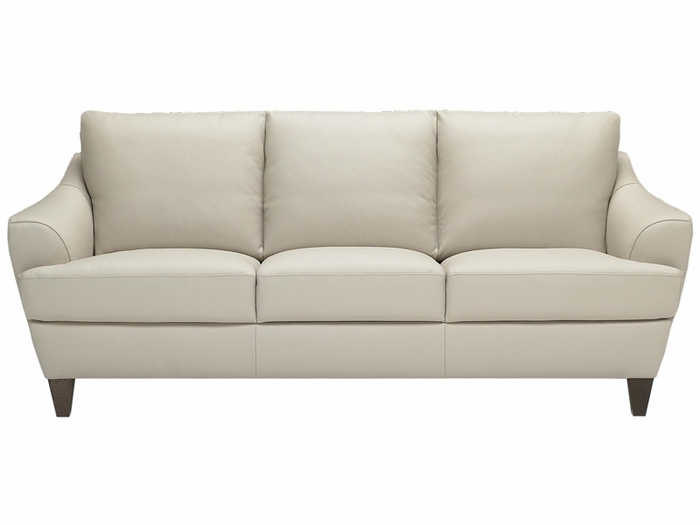 An architectural marvel, with fantastic arm and leg details that offer undeniable style and comfort. Nice and deep. Large seat and back cushions offer platinum level comfort. The Natuzzi Edition's collection includes a sofa, loveseat, chair and ottoman which showcase superior quality and amazing comfort you will love living with. Natuzzi Edition's Italian leather includes sophisticated colors that echo the most up-to-date interior design and fashion, with extreme durability and easy maintenance. This versatile Natuzzi Edition's collection combines elegance, durability, easy care and Italian leather, the most noble and authentic covering available, in your choice of color. Please call 1-888-997-7663 for pricing. Available in a wide range of leathers.